Why make this website ? we wanted to help out the community by putting together all necessary files to make an "easy-to-use" install package, now available here. 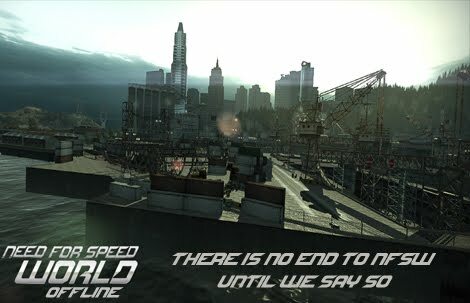 Need For Speed World was the fifteenth installment of the long-running racing video game franchise: Need for Speed. it was published by Electronic Arts, co-developed by EA Black Box. It was the first freemium MMORG in the Need for Speed series available on Windows. The Game took on the gameplay of NFS: Most Wanted and NFS Carbon, focusing on illegal street racing, tuning cars and police chases, and added MMO elements to the mix. The Game was set in the Tri-City Map, which was a mixture of the cities of Rockport and Palmont (Cities from Most Wanted and Carbon). The game featured over 100 licensed cars consisting of tuners, muscle cars, exotics, race cars and SUVs. NFS: World, along with a lot of other EA "free-to-play" titles, got shut down and went permanently offline on 14th July 2015 . Because of the lost of NFS: World, The users of elitepvpers.com "berkay2578" & "Nilzao", managed to make an offline patch with the help of its community and had started working on a multiplayer server called Soapbox Race World, which makes the game again playable in multiplayer.